Bluenose was launched at Lunenburg, Nova Scotia on March 26, 1921, as both a working cod-fishing schooner and a racing ship. This was in response to a Nova Scotian ship’s defeat in a race for working schooners established by the Halifax Herald newspaper in 1920. 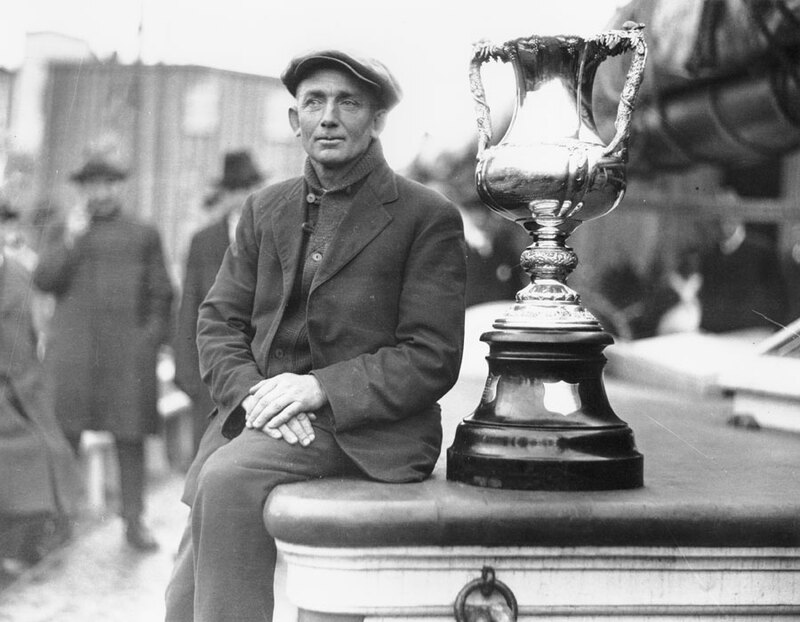 After a season fishing on the Grand Banks, Bluenose, under the command of Angus Walters (pictured below), defeated the ship Elsie from Gloucester, Massachusetts, returning the trophy to Nova Scotia. During the next 17 years of racing no challenger, American or Canadian, could wrestle the trophy from her.